PropertyLink has given its tick of approval to a sweetened $723.4 million buyout proposal from private equity-backed logistics fund ESR Property, reports the AFR. The move effectively torpedoes PropertyLink’s own $755m buyout ambitions for the Centuria Industrial REIT. PropertyLink, though, reserved the right to pursue Centuria if the deal with ESR is withdrawn or a bid implementation agreement is not struck, says The Australian. ESR Real Estate, which already owns 19.9 per cent of PropertyLink, has been a central player in a year-long entanglement between listed fund managers PropertyLink and Centuria Capital. The sweetened bid from ESR lifts its offer from $1.15 cash per share—a total of $693 million—to $1.20 per share, a total of $723.4 million. PropertyLink’s board has said it will recommend that bid to its shareholders once ESR completes a three-week due diligence period and a bid implementation agreement is signed. ESR opposed PropertyLink’s proposed takeover of the Centuria-run fund and launched its buyout proposal for PropertyLink in an effort to block that bid. Giving its conditional support for the revised ESR bid on Tuesday, PropertyLink said it would not proceed with its own takeover proposal for the Centuria-run industrial fund. PropertyLink’s chief executive Stuart Dawes told The Sydney Morning Herald the directors’ intention to recommend the ESR proposal is conditional on an independent expert’s view that the ESR offer is fair and reasonable to PropertyLink security holders not associated with ESR and ”the absence of a superior proposal”. ”The board felt the ESR all cash offer was attractive and that ESR have the aspirations to build a business in Australia and need a quality manager, of the ilk of PropertyLink,” Mr Dawes said. PropertyLink is an internally managed real estate group that owns and manages a diversified portfolio of logistics, business park and office properties with about $1.8 billion of assets under management. ESR is backed by the US private equity giant Warburg Pincus and run by former Goodman executive Philip Pearce. ESR entered Australia in July when it acquired Commercial and Industrial Property from Charter Hall for $102.5 million. Mr Pearce has said ESR wants to buy PropertyLink for its management expertise and high-quality assets, to expand the business. As part of the tangled web, ESR also holds a 14.9 per cent interest in the Centuria Capital Group, run by John McBain, which manages the Centuria industrial fund. In turn, Mr McBain’s Centuria Capital also owns 13.85 per cent of PropertyLink and has called for an extraordinary general meeting for November 15 to roll the PropertyLink board. As part of its provisional agreement with the board, ESR has said it will vote its 19.9 per cent stake in PropertyLink against Centuria’s spill motion at an upcoming shareholder meeting. 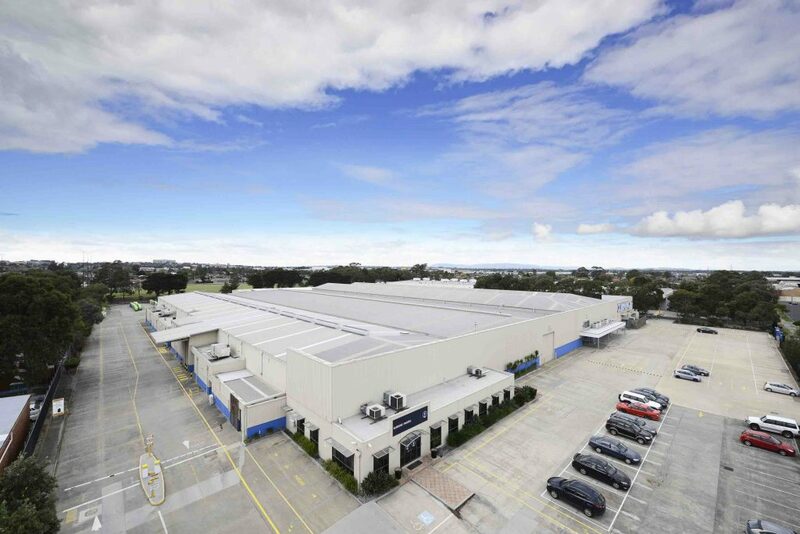 This week, Centuria’s industrial property fund expanded its portfolio and outgunned PropertyLink by purchasing a $42 million logistics facility in Westmeadows, Melbourne.